Price: £33 plus shipping – With Fast Shipping (Orders dispatched same day of ordering – or next day if ordered after 4:30pm). International orders (Outside England) MUST order 2 or more for us to be able to ship to you – otherwise we cannot ship. Order Multiple Bottles to Save money on Postage. 1 Bottle 60ML (1 Month Supply) – order multiple quantities to save money on postage. The Immortal’s Oil is a 100% botanical edible oil that when applied to the scalp, soothes not only inflammation on the scalp and skin, but actually helps stimulate hair growth allowing regular users to improve hair growth, thickening hair and eradicating hair falling. This is the only oil that does not become rancid at skin temperature, keeping its renewal properties at their highest potency; this allows the oil to function and penetrate the skin deeply enough for eradicating inflammation and stimulating hair growth in the scalp. The Immortal’s Oil is 100% Organic and Non-GMO product – the only place that this oil is produced is, by ourselves. 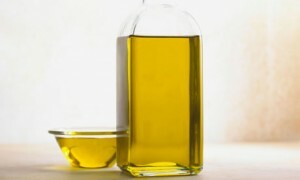 This is because for the oil to be effective in treatment, it has to be harvested in a very specific method, harvest location and even the timing has to be perfect. Order now to feel the powerful effects of this oil. Click on the button below to order.